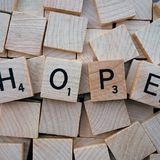 Four Visible Signs of Lupus That You Ought To Know Lupus is an autoimmune disease that involves the malfunctioning of the immune system. In normal situations, the immunity system protects the body from alien invasion. But, if the story turns the other way round and the immunity system starts attacking the tissues in the body, lupus is the result. As for the symptoms, the intensity differs from person to person. 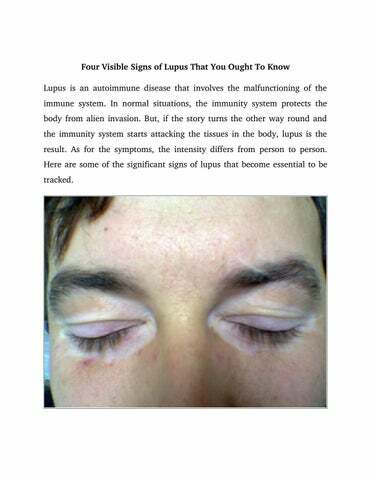 Here are some of the significant signs of lupus that become essential to be tracked. 1. You Feel Like You Are Ready To Drop If you are ever exhausted and feel this way even when you get up in the morning, something is definitely wrong. For the records, as much as 90 percent of people living with lupus feel tired and drained. All you can do to keep away these exhaustion blues is to stay active most of the times. If you have a disciplined routine to follow, you’ll fight off the lethargic feelings like a pro. If nothing seems to help, never hesitate to contact your physician for they know best and can suggest some viable treatments. 2. Keep Coming Down With Raised Temperatures One of the earliest signs of lupus can be raised body temperature without any specific reason. People tend to ignore the fever as it may fluctuate between 98.5 degrees Fahrenheit and 101 degrees Fahrenheit. But, if you are experiencing lupus, the fever may just go and come, and you need to be wary of the symptom rather than ignoring it. To be clear, a fever could be a symptom of swelling, infection, or even the flare­ups that are common in lupus patients. If you are too vulnerable to the red colored rashes on both of your cheeks, you might have lupus. This sign happens to be the most common of them all as stats say that at least 50 percent of the people infected with lupus deal with rashes. It is strictly advised not to expose your skin to the sun, for it will amplify the redness. Even the artificial lighting conditions could be the reason for the rashes on the skin. If all the symptoms match up along with the discoloration of fingers and toes, visit a physician right away. The Takeaway These were the four visible signs of lupus that you should be looking for. The scope of the symptoms is lengthy though, but these are some of the common ones to follow through. Lastly, it is always advisable to visit a physician and never put things for tomorrow.